Obituary for Mrs. Leila J. (Ruhrseitz) Johnson | Hinchliff-Pearson-West, Inc.
Mrs. Leila J. Johnson, 85, of Knoxville, Illinois formerly of Lombard, Illinois died 9:09 p.m. Monday, April 2, 2018 at Knox County Nursing Home, Knoxville. She was born September, 4, 1932 in Lombard, Illinois to Martin and Anna Sieleit Ruhrseitz. She married Charles J. Johnson June 19, 1954 in Lombard. He preceded her in death September 27, 2015. Surviving are two daughters, Susie (and Bill) Bates of Gilson, Illinois and Linda (and Trena McDaniel) Johnson of Lake Zurich, Illinois, two grandchildren, Brian (and Sara) Bates and Jennifer (and Israel) Granillo and three great-grandchildren, Alex Granillo, Nolan Granillo and Blair Bates. Leila graduated from Glenbard West High School in Glen Ellyn, Illinois in 1950. She was a supervisor for production scheduling in the M.I.S. division for Callaghan Company, a law publishing firm in Deerfield, Illinois. 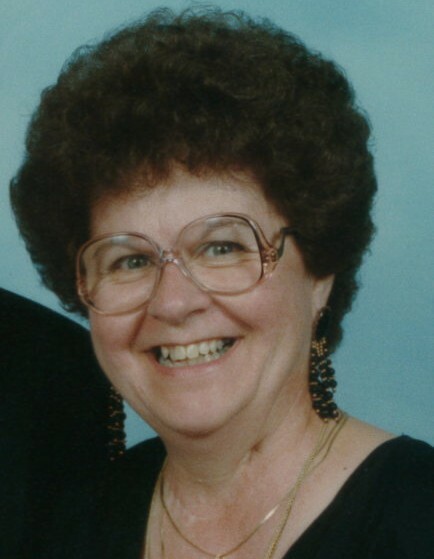 She was a member of Grace Lutheran Church in Glen Ellyn and in Knoxville. She was very active in her church. She was a member of the Community Chest in Lombard and a Girl Scout Troop leader for many years in Lombard. Leila enjoyed her flower gardening and loved to read. Funeral Service will be 11:00 a.m. Friday, April 6, 2018 at Hinchliff-Pearson-West Galesburg Chapel. Pastor Roger Carlson will officiate. Burial will be in Knoxville Cemetery, Knoxville, Illinois. Visitation will be 10:00 to 11:00 a.m. Friday, April 6 2018 at the chapel. Memorials may be made to Hospice Compassus or Knox County Nursing Home. Online condolences may be made at www.h-p-w.com.